I had no plan to go to Palawan, but when I received a web special from Cebu Pacific for a P1 seat sale, I had to go for it - with tax, it came down to about P2000, return...still not bad. I'll see for myself what this 'last frontier' is all about. The grueling 7-hr bus trip to Baguio along zig-zag road is something I can't get used to. I still get nauseated. 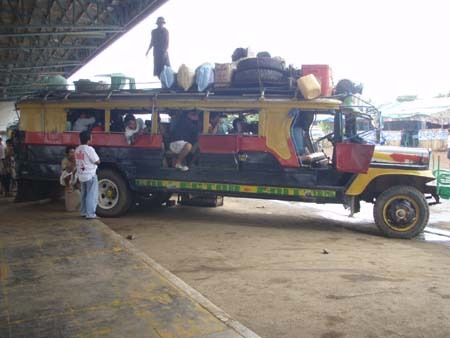 Taking the 1pm bus from Baguio to Manila was the worst, with local traffic on every town. That trip took 6.5 hours when a midnight bus usually takes 4 hours 45 mins. The first thing you'll notice upon arrival at Puerto Princesa (Palawan's capital) is the omnipresent poster/billboard of the Hon. Mayor Edward S. Hagedorn (don't forget the 'Honorable'). You can't miss it. He must have urinated on every single hydrant in Puerto. 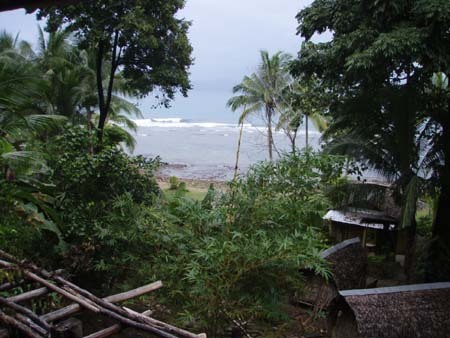 Even in Sabang, his name and pictures competed with the natural landscape. Make no mistake about it - he owns this town! In fairness, however, of the two Palawan people I asked about the mayor, they only had good words for him...that he's doing a good job. 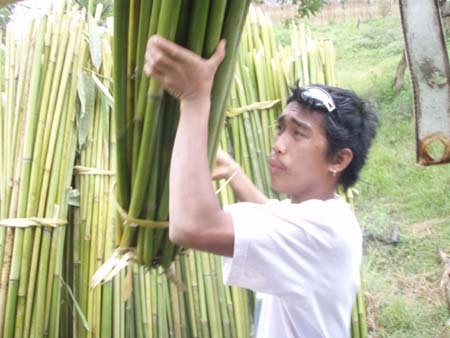 From a book that got published about him, he is said to be an ex-illegal logger turned environmentalist. Now, his administrative stamp is about conservation. If he is as good as people say he is, I can only wish for more hydrants for the good mayor. The first time I had Vietnamese phô (mint noodle soup) in Toronto, I thought it was the next best thing to slice bread. 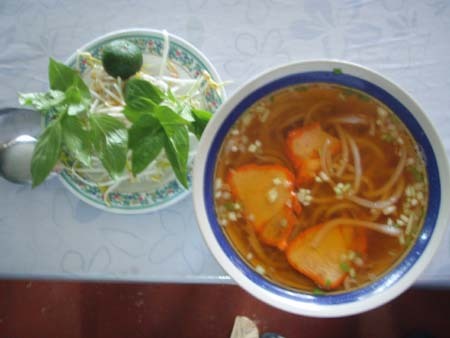 However, the phô in Manila have all been dismal let-downs. With Puerto's Vietnamese community (formerly refugees from the Vietnam war), I tried phô every single opportunity I had. At P30-35/serving, it was bang-for-the-buck. The most authentic of them could be had 2 kms away from the airport, but the ones in poblacion weren't too bad. From Lonely Planet, I tried checking-in at Backpacker's Lodge, but it closed down 2 years ago. Across the street was the Duchess Pension. I got a dump for P150/night - stinky common washroom, clogged drains, no hooks for clothes...you get the idea - but wait! It's got a wall fan. The room had no mosquito net. That's usually ok, but not in Malaria Country! I went to the store and got myself one, thumb tacks and straw string. Puerto is clean and safe, just like what Lonely Planet says. However, there's nothing else to do there. It's really a jumping board to the other places in Palawan - Quezon to the south, Sabang, El Nido and Coron to the north. There is the museaum, but there's more Chinese jars and shells than cultural/historical artifacts. It would have been cool if pictures from the 1900s, of Palawan's indigenous peoples were displayed - before they started wearing Levi's. 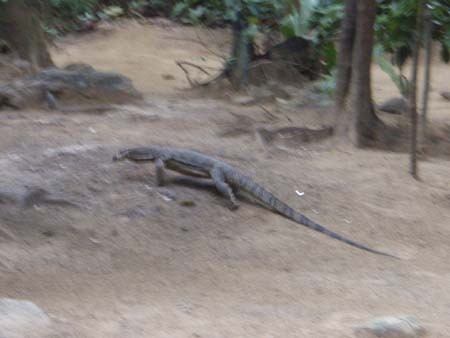 Perhaps the 2 noteworthy places to visit a little outside Puerto are Irawan (crocodile farm) and the Iwahig (open-system penal colony). My 2 attempts to go there were thwarted by rain and jeeps not filling enough to warrant the trip...oh well. A pleasant surprise is Bruno's. 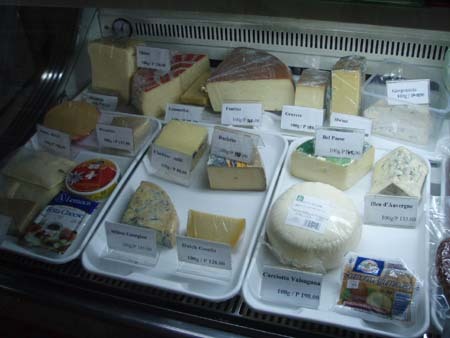 It's a deli/restaurant serving imported wines, cheese and other epicurian goodies. In hindsight, I should have tried the Raclette. At P250, I winced. But hey, it's just for that night! Should have....could have...oh well. 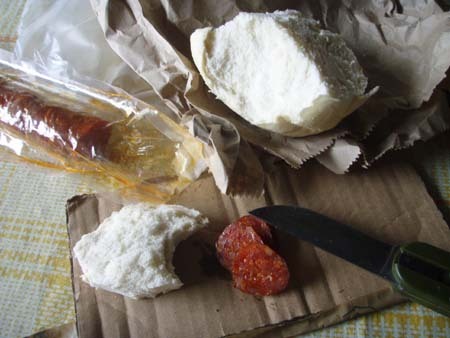 Like Santis in Manila, it's not cheap, but if you have this craving for gorgonzola cheese, it saves you time and money for a trip to Manila. 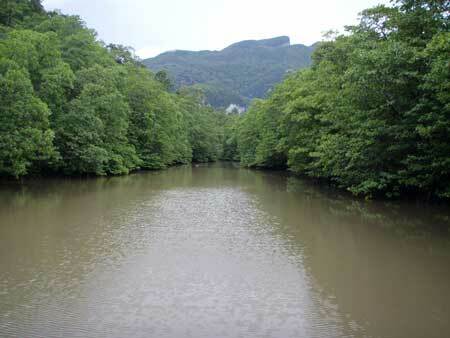 Most people only visit Sabang to see the subterranean river. They take a day trip there from Puerto, spend 2 hours on their air-conditioned van, spend another hour to see the underground river, take pictures, buy the t-shirt, and back to Puerto. That's what I thought too. Lonely Planet does a dis-service to Sabang (and its readers) by not talking about the other wonders that can be explored - 4 caves, coral reef, waterfall, 2 mountain summits, mangrove forest. 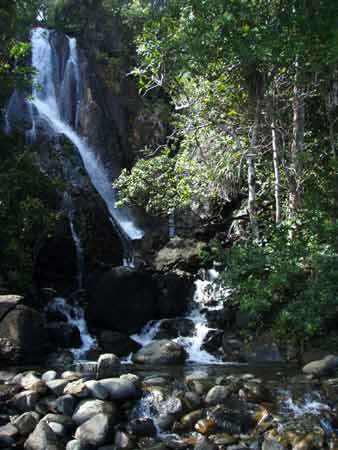 A 30-min walk south from the pier, along the coast is a gorgeous waterfall. 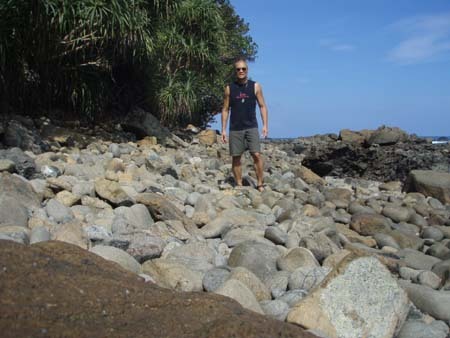 Part of the fun is the challenging walk on huge round rocks piled on top of each other. The beach is pretty much all to yourself at that point. You'll also pass another fee-based permit point. It seems that whatever you do in Sabang, you have to pay a fee for a permit (for the underground river, snorkeling, waterfall, etc. )...and it's on a per-use basis. Climbing up the falls and soaking in at it's many levels is refreshing reward for the arduous hike there. The best contact person in Sabang is 'Itik' Morillo (0918-683-7249 - as of June 8, 2013, there has been no response from Mr. Morillo using this number). He's s staunch environmentalist and the most knowledgeable guide. 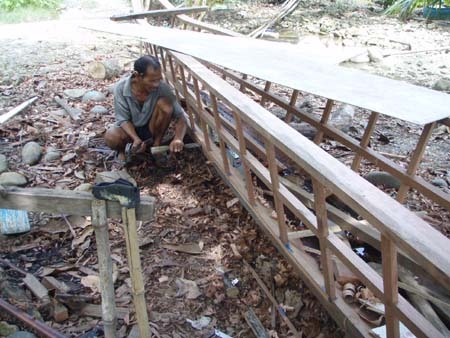 He helped build the wooden steps on the Monkey Trail in record time. For summiting Mt. Bloomfield or exploring any of the caves, he's the man. He doesn't charge a fixed fee. He says he'll accept whatever is offered. Supporting him also supports his conservation initiatives. I brought my gear with me and was gung-ho about sighting a dugong. Contrary to the advice of the tourism office not to go (murky water, pounding waves, poisonous Stone Fish, rains, etc), I threw caution to the wind with a nearly tragic result. It's a story all its own. Check out Kamikaze Skin Diving. 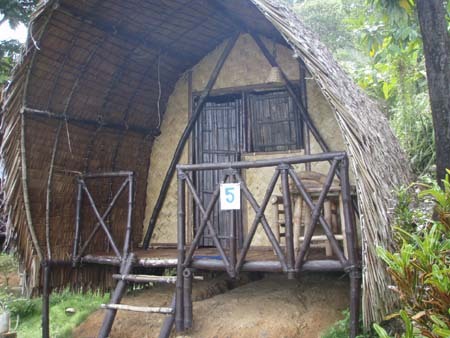 The cheapest lodging was P350 for a room with a common washroom. 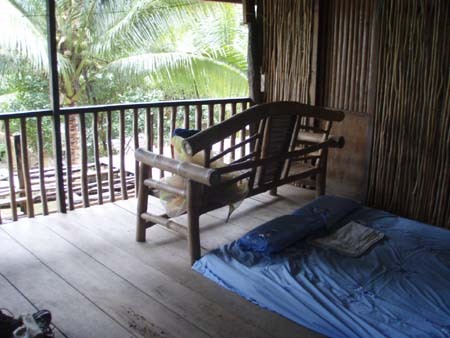 After scouting around and convincing the owner of Blue Bamboo (Ms. Lorena) that I was just a budget tourist out to rough it, she gave me an open balcony for P100/night...cool! From where I was, going to the washroom was already its own adventure. Think 2 am, in the driving rain, you wake up for a pee. The washroom is a muddy walk down the slope in pitch black condition. Luckily for me, my floor had a hole! Before leaving the pier to see the underground river, you have to first secure a P200 permit from the tourism office. You now have 2 options to get to the underground river. Most tourists take the expensive (P700/trip, return) boat ride, but a more fun way of doing it (and it's free!) 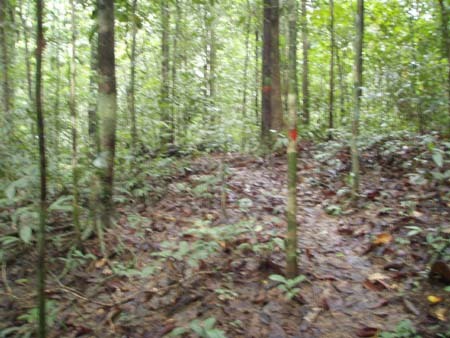 is taking the monkey trail (tourist-friendly trail system, around 1 hour) and then taking the rough jungle trail (with clearly marked trails), on the way back. 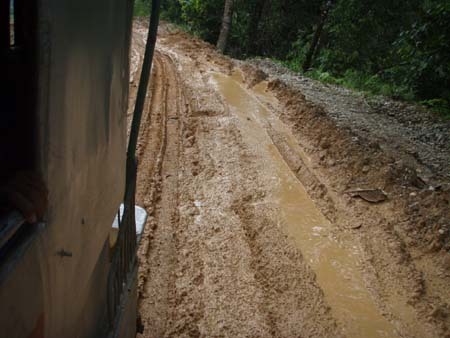 Be prepared to come out of it muddied, but hey, it's fun. 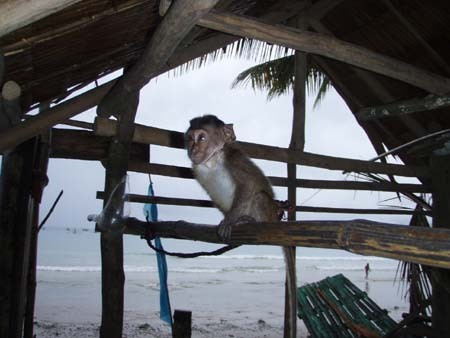 If you get lucky, you'll see monkeys. Even if you don't, the familiar jungle sound is all over. 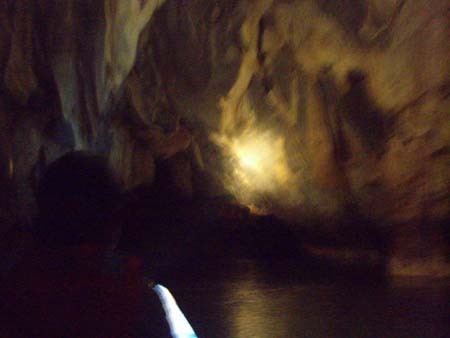 At the cave entrance, you transfer to a paddle-type banca to go inside the underground river. Everyone wears a helmet (want bat-dung dropping on your head?) and a life-vest (woo-hoo, tourism budget at work). 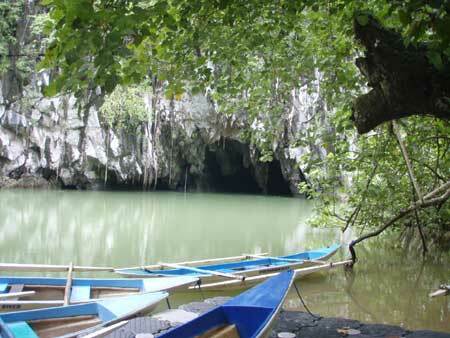 A guide will be paddling the banca while he explains the history of the place and dish out natural facts of the cave. 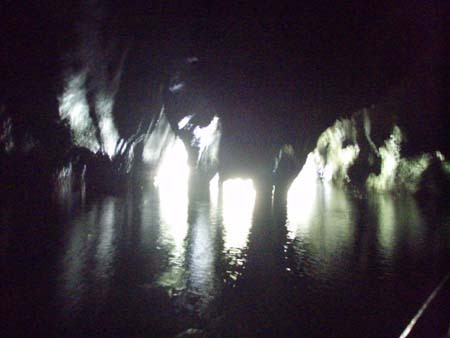 The cave itself is spooky - completely dark (except for our high-powered flashlight), bats, big insects, etc. 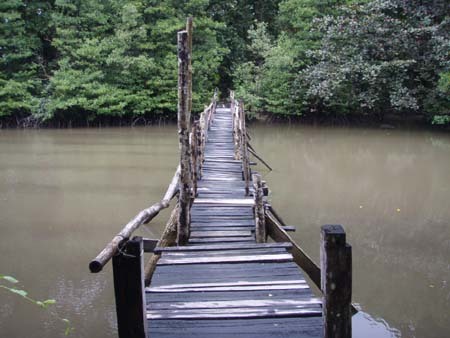 It's 8.2 kms long but only half is navigable by boat. Of that, the guide only takes you 1.2 km inside and then turns back. If you want to see the entire length, secure a special permit first from the tourism office. You have to ask them about this because it's not an open option they announce to the public. It rained every single day. It starts to drizzle late in the afternoon and pours the whole night and stops only shortly before sunrise. November is not the best time to be there, unless you want the place to yourself. Ideal time is March - April, during the summer months. The waves would also be calmer, in case you want to go skin diving for dugong. 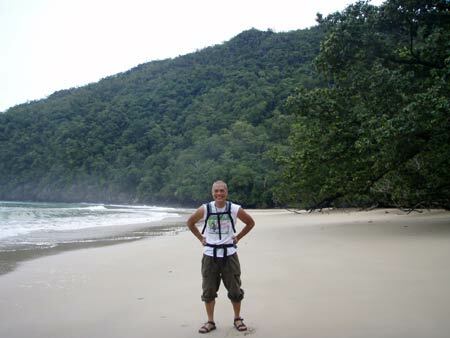 Palawan, particularly Sabang, is remarkably beautiful. If it only has electricity and internet connection, I don't mind packing up and spending a good time of the year there. My 5 days there barely scratched the surface. Palawan is definitely on my short list for domestic destinations. The possibilities are endless. 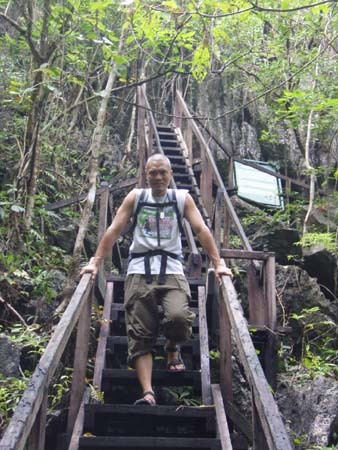 South Palawan is an even more rugged adventure with the native Tao't Bato (Stone People who live in caves during the rainy sesaon), the numerous caves and site of the Tabon Man discovery. 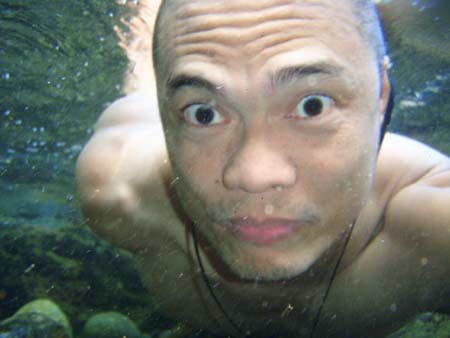 To its north are beach resorts and dive spots in its numerous islets and coves (Port Barton, El Nido, Coron). 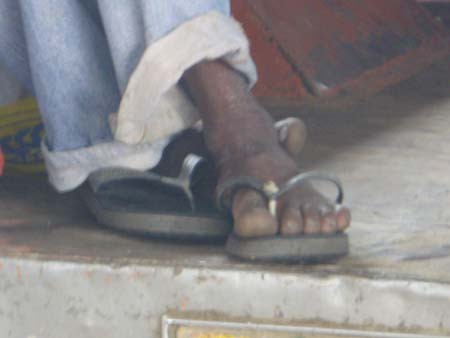 The north is also home to the indigenous and elusive Tagbanua people. It's overwhelming. The 23 pages about Palawan on Lonely Planet is but a teaser. An entire book could be made on Palawan. Next time I visit again, I'll pencil-in a summit on Mt. Bloomfield, skin diving for dugong and exploration of the Daylight Hole Cave...among others. instead of taking the tricycle from inside the airport going into town and paying P40, walk outside the airport, hail a trike for only P7. 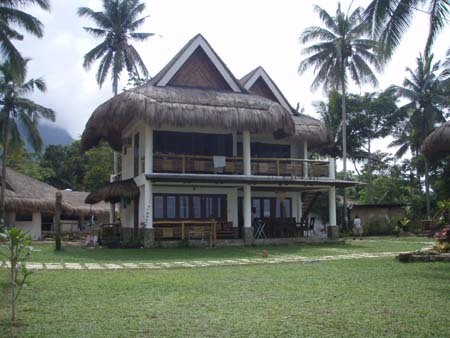 Puerto Princesa - for budget rooms, P150/night, try the Princess Inn (T:433-4218) at Malvar St. near the market. It's still a dump (stinky and clogged washrooms) but a better dump (bigger room) than Duchess Pension. from Manila - to Puerto Princesa: take a plane. 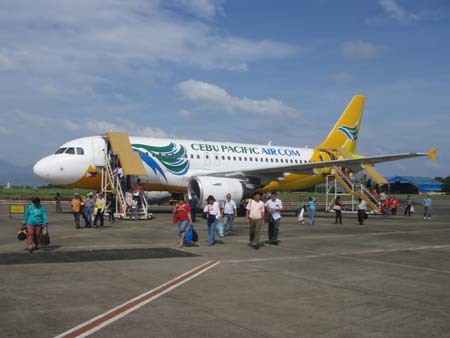 Cebu Pacific flies there. If you get the web special, you pay about P2000 tax included. from Puerto Princesa - Sabang: take jeep from Rizal Avenue to Newmarket (P10). Newmarket, there are 4 trips to Sabang (P150 local, tourist P200) - 7am, 10am, 12nn and 2pm. 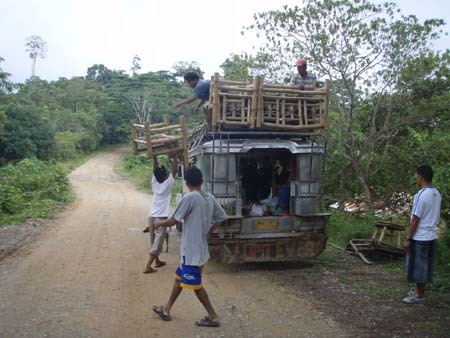 With loading/unloading of cargo along the way, 3 1/2 hours. (June 8, 2013) Do you have other contact info of Vicente 'Itik' Morillo? Hindi ko po ma-contact gamit cp # post nyo above. Kelangan ko po ng guide sa Jungle Trail kasi ako lang po mag-isa pupunta sa Sabang sa July 11. Thanks! 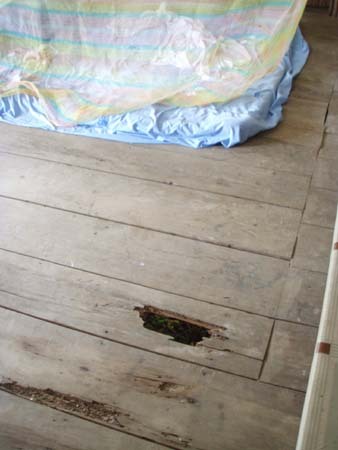 (Nov 14, 2010) I was digging through your site and I found this (your picture of the hole on the floor)... hahaha! ayokong maglakad sa labas para lang umihi! (7 Dec 2007) Ang saya-saya ng kuwento mo sa Palawan! Nakaka miss ang dagat. (Dec 6, 2007) Yes indeed we made it back home to Switzerland...unfortunately, I could imagine to travel much longer...:-)...but somehow we also have to earn some money! We finished with more little adventure stories, like a little bike accident and a blood infection as well as an evacuation from our beach cottage cause of the high waves and high tide from our last typhoon, which really visited us quite strong on the Busuanga Islands...also a special experience. But anyway it was a great time and it was cool to meet you, just let us know, whenever you are around Switzerland. You are always welcome amigo. And of course our next trip to the Philippines will include an mtb-tour of Sagada! Your website looks fantastic. I was reading about your adventures, looks like you really have a well organized life and you know how to enjoy life! Best regards from snowy Switzerland! (Dec 5, 2007) nakakainggit! gusto ko din nung dugong!